PUSH Media Labs (PML) was conceptualized and began as a separate entity from Hweestudios Wedding Cinematography in 2009. The name PUSH is inspired from the Push E-mail services on the mobile platform. New photos we’ve taken are actively transferred to a host server from our internal Wi-Fi network. The photos will then be processed by our print artists to be printed out and subsequently for live display on the projector. 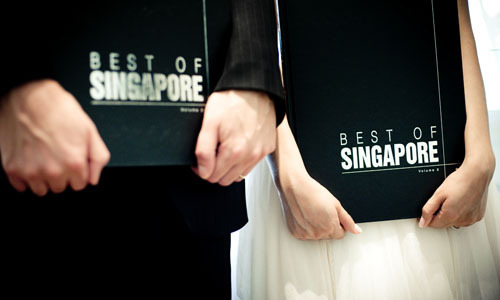 The photos will then be personally handed over to your guests by our photo distributor. PML is led by Ben Lim & Apple Lim as principle photographers and managing a team of senior photographers and digital artists. Currently, PML have enough equipment and manpower for up to 3 teams on popular dates.